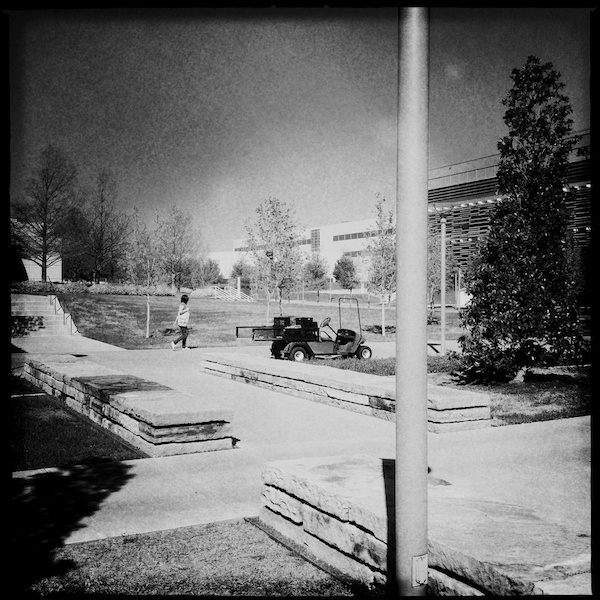 Took a walk around the UTD campus with momma this morning, and decided all spur-of-the-moment like to take only the iPhone and give Hipstamatic a workout. Dan Cristea (@Konstruktivist) recommended some lens/film combinations at LoFiMode that I wanted to test out, and see how my only ‘favorited’ combination (the new-ish Loftus lens (from the Foodie SnapPak) and Big Up film (from the Bondi HipstaPak)) stacks up against @konstruktivist’s favorites. Truth be told, I’m quite hesitant to shoot strangers without permission, and tend to point my camera (or iPhone) only at things that can’t scream at or chase me. Yes, this is quite irrational. And, yes, it it something I would very much like to get over, since it stems from my agoraphobia, I think, and getting over that would be rather helpful methinks. @konstruktivist has no such fear, and is quite a competent street photographer. This is all to say that our shooting styles differ. And so it should come as no surprise that my favorite combo (see the lead image, above) differs so greatly from the four that Dan recommended. I have to admit that I’m not a huge fan of the vignette in this combo. That said, Dan says that this combo works best on cloudy/rainy days, and so shooting it in full 11am North TX sun is probably not the best idea. I do like the border quite a bit, and the contrast and saturation in the whites and blacks is striking, and I can definitely see this combination proving useful in certain situations. 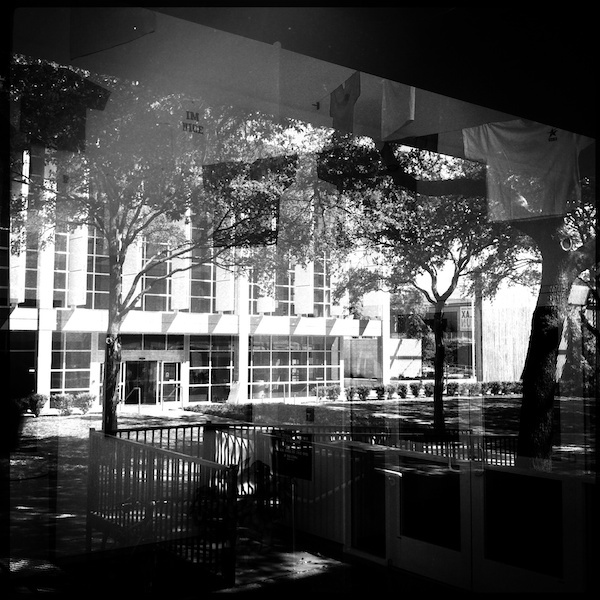 Lucifer VI Lens & Rock B&W – 11 Film: As Dan says, “This particular combo is probably one of the cleanest B&W setting you can find on Hipstamatic.” And it is clean, indeed. I didn’t take as many shots with this combo as I did with some of the others, which is a shame, since I quite like this one. The somewhat transparent border works well, and the contrast is set on high. I can definitely see this combo getting some use. John S Lens & US1776 Film: The Grain! Oh My God the Grain! Under certain situations, I can see this being useful, and I quite like a bit of grain on occasion, though in this case the grain seems to wash out some detail, especially in the highlights, and I’m never (or rarely) a fan of that. Lately, though, I’ve been wanting more saturated color, and when the Big Up film came out, it quickly became my favorite. For my purposes, this combo is probably best saved for super-contrasty and highly saturated scenes that I want to depict as hot, dry, and thirsty: like pretty much anything I shoot between 9am and 10pm between now and sometime in late September. The combo works best in evenly lit scenes (see the second image on the bottom row to see what I mean), and probably needs a ton of light due to the desaturation of colors and pump-up of blacks and whites. 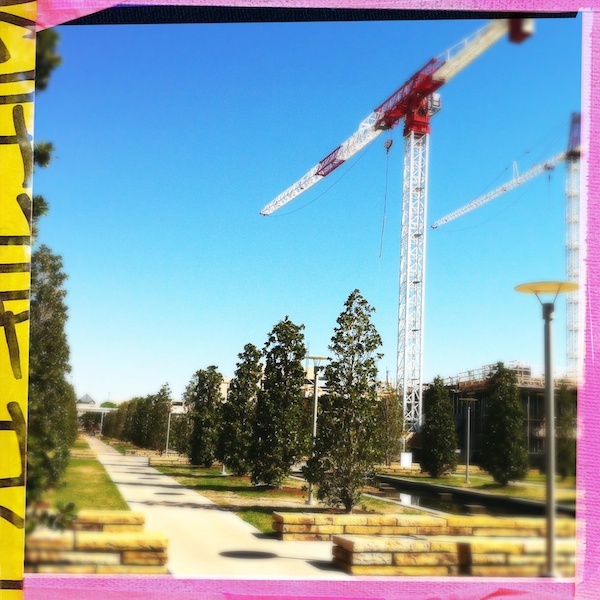 Loftus Lens & Big Up Film: The saturation: pumped way up. The border: wildly variable, often distractingly pink. And the blurred halo helps loads. This combo does have its problems (see the last image in the first row below): it’s not going to du much for scenes without much inherent color variation, and it’s useless in the dark, but outside, with a blue sky, some fluffy clouds perhaps, green grass and trees, and all manner of other colors, it screams Candy and Rainbows and Unicorns to my eye. If you use instagram, follow @konstruktivist if you’re not already. His feed is far more interesting than mine, and updates far more regularly. 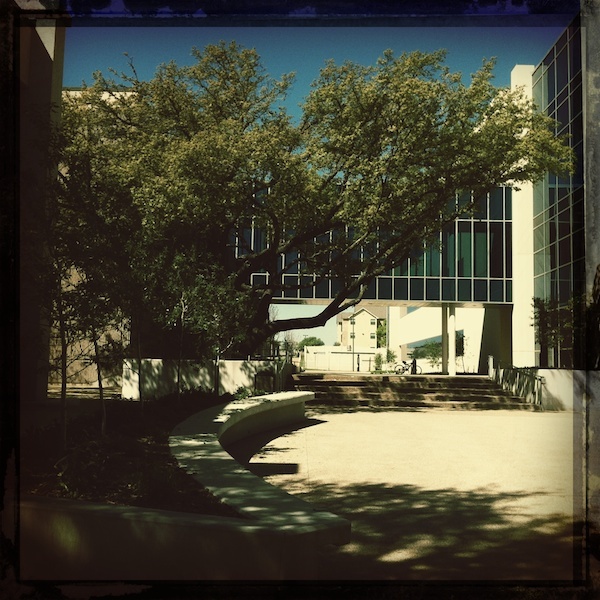 If you ahve any Hipstamatic recipes you’d like to share, please do! 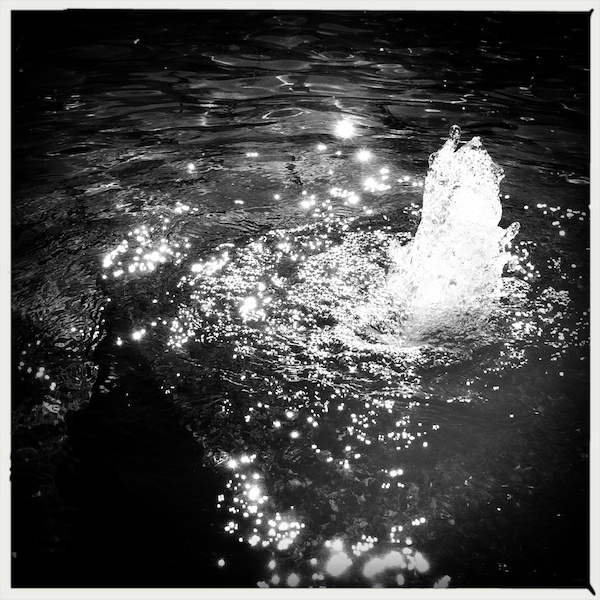 I’m always looking for reasons to play with Hipstamatic and get my iPhoneography on! Also, if you look close, I did manage to photograph two complete strangers: one, from quite a distance, and without any recognition from either of us; the other with the guy staring right at me. I said thanks as he passed, and he gave me a smile. Good times!